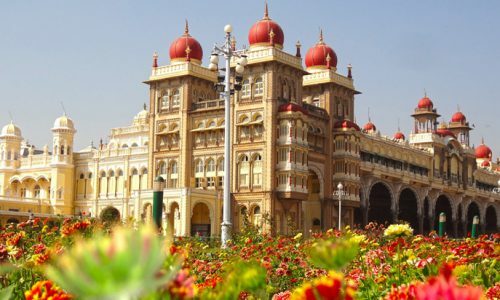 On Arrival At Coimbatore Airport Our Driver Will Pick You Up and Get Transferred to Ooty.at Reaching Check Into the Hotel and Later Proceed for Local Sight Seeing Which Offers An Unbelievable Section of Top Class Sightseeing Attractions in Ooty India that are Sure to Be the Highlight of Any Holiday. Visitors Looking for a Variety of Cultural Attractions in Ooty Will Be Not Leave Disappointed with So Many Options to Choose From. Ooty also Offers Numerous Renowned Heritage Sites that India is Famous for Around the World and Over Night Stay At Hotel. After Breakfast Proceed for Local Sight Seeing ,Enjoy a Tour of the 'queen of the Blue Mountains', that Includes a Visit to Dodabetta Peak for a Spectacular View. Later, Drive to Coonoor and Visit Sims Park and 'dolphin' Nose Point. in the Afternoon, Visit the Botanical Gardens and the Popular Ooty Lake. Return to the Hotel After Sightseeing and have a Comfortable Overnight Stay. Morning After Breakfast Check-out from the Hotel and Drive to Kodaikanal After Arrival Check-in the Hotel and Enjoy the Local Sightseeing Kodaikanal Lake, Bryant Park, Coaker's Walk, Telescope House, Bryant Park, Sacred Heart College Museum, Kodaikanal Pine Forest, Silver Cascade Falls Evening Back to the Hotel and Overnight Stay. Morning After Breakfast Enjoy the Local Sightseeing of Kodaikanal is One of the Most Popular Hill Resorts in India. After Breakfast Check Out of the Hotel and Proceed to Coimbatore and Drop. all Transfers and Sightseeing as per Itinerary in Private Ac Vehicle.